Keeping and growing Customers should be high on the minds of most businesses. With an increasingly competitive world, retaining Customers and keeping them loyal has never been more important. STUDIES SHOW that acquiring new Customers typically costs five to seven times more, than simply retaining existing Customers. Customer profitability tends to increase over the life of a retained Customer. An added incentive for businesses to allocate more resources to sharpening their Customer retention strategies. Technology is the key enabler. Today’s business can utilise technology to improve the Customer experience they offer, boost Customer loyalty, and gather and share Customer intelligence. It’s never been easier for Customers to walk. A survey by market research firm Harris Interactive showed, 86% of Customers either leave or choose not to return because of a poor Customer experience. Whilst only 14% go elsewhere because they are unhappy with the product or the service. Bringing technology, Customer service and marketing teams together, Customer experience enhancements can be developed and implemented. New Customer welcomes – email, video, Customer portals and websites can all be used to introduce new Customers to your service or product they have purchased, helping them to understand how to get the best from their purchase. Early warnings – use email, text or apps to provide Customers with advance notice of changes in service or product issues. Delivery confirmation – how would Customers like to be kept informed of deliveries. It may be a text, email, phone call or via a bespoke app. Listening and learning – use technology to gather, collate and analyse Customer feedback. Either provide channels for Customers to communicate directly or, for service industries, enable your staff to provide the feedback on an individual Customer basis. Then use this learning to enhance your products, service or brand. The Internet has brought about a transformational shift in power from sellers to buyers. This has meant that more and more businesses need to investigate ways they can keep their Customers loyal as well as utilise the Internet to enable their Customers to advocate their products or services. Social media – now the single most influential technology that impacts on Customer loyalty, giving the Customer a voice that spans the world, reaching friends, colleagues and complete strangers, and influencing buying choices and brand allegiance. Customer analytics – another key enabler for Customer loyalty. By analysing Customer behaviour, purchasing information and other data, it’s possible to respond to them as individuals to ensure they get a personalised experience. Mobility – smartphones offer tremendous opportunity for virtually any business, not just consumer-focused sectors. Web access, email access, text, social media, apps are all common place today but tomorrow proximity marketing, digital wallets and wearable tech will bring yet more change. 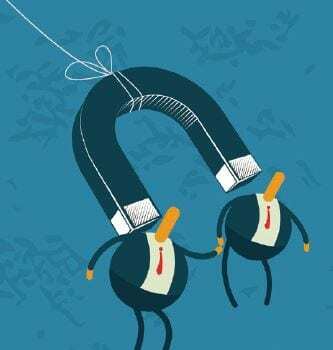 With the possible exception of businesses that have just a handful of clients, putting in place a system to collate Customer (and Prospect) intelligence is crucial to any Customer retention and sales strategy. However, it’s surprising how many businesses end up relying on a jumble of email trails, spread sheets, accountancy records or, worse, individual knowledge to keep track of Customers and prospects. improve internal co-ordination and communications. Marketing teams better target their messages. Collaboration technologies can also be used to bring teams together to deliver projects. Webinar applications can be used to pitch new ideas to Customers and prospects alike. Also, audio conferencing is simple and effective in bringing people together quickly and easily.